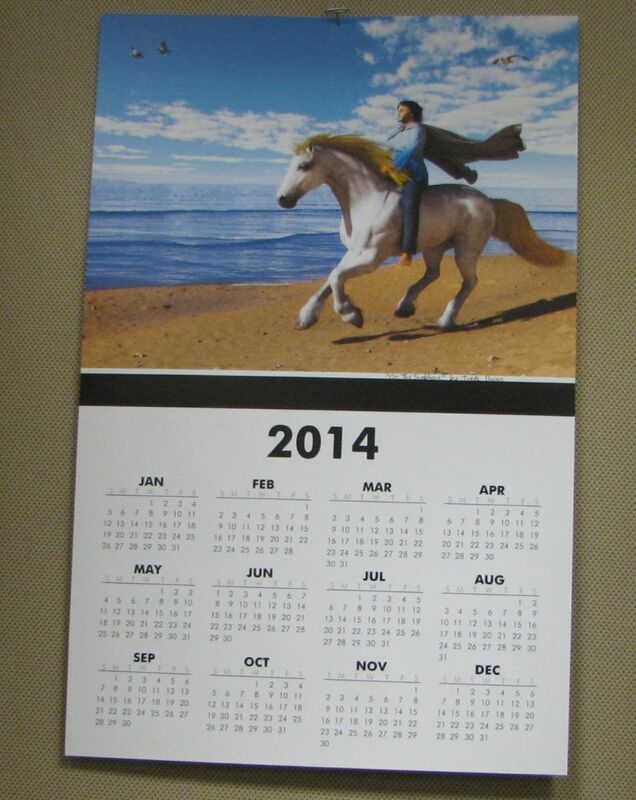 For me, another year coming means making and ordering another single-page calendar to reference at my job. This year, since the image I made was more 'public-friendly' than most, I decided to order a bunch and give them as gifts to various people who might enjoy or use them. And that includes giving away a couple here as well. The calendar is 11 x 17 inches (28 x 43 cm) and will be shipped rolled in a tube. Done with Poser and Vue software, and I worked my poor pc so hard I fried a couple memory cards! It depicts The Defender in horse-form giving Geren a ride, loosely based on the first chapter of my third Geren novel, The Shado of Sorrow. If anyone's interested, let me know! If there are more than 2, I'll do a drawing on New Year's Eve.